NORTH BAY, Ont. 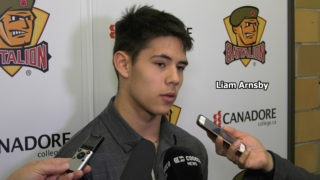 – A total of 36 skaters and goaltenders are expected to battle to impress the coaches at the North Bay Battalion’s orientation camp Saturday and Sunday. 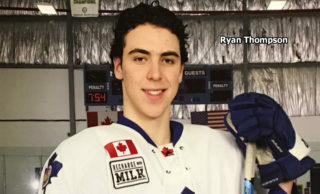 Twenty forwards, 12 defencemen and four goaltenders are to report Saturday for fitness testing at Memorial Gardens and the Chippewa Secondary School track before a two-hour on-ice session pitting Team Green against Team White starting at 3 p.m. The players will return to the ice at 9 a.m. Sunday before receiving summer fitness programs and heading home at noon. Admission to the scrimmages is free. Parents are to take a 90-minute bus tour of North Bay starting at 9 a.m. Saturday, and all are to enjoy a Lake Nipissing cruise Saturday night. 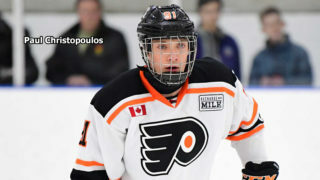 Fourteen of 15 prospects taken in the OHL Priority Selection on April 7 are expected to attend, as well as nine selected in the 2017 process, all three chosen in the OHL Under-18 Priority Selection on April 11 and 10 free-agent invitees. The only 2018 selection not expected to attend is forward Carson Bantle, an Onalaska, Wis., resident who was a 14th-round pick from Shattuck-St. Mary’s, a private school in Faribault, Minn.
Four of the free agents are North Bay residents who played major midget hockey last season. 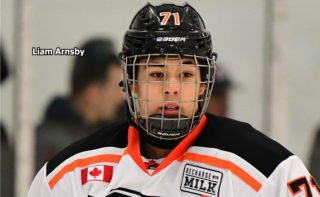 All forwards, they are Dryden Rivet of the Timmins Rock, Brett Shawana of the Sudbury Wolves and Sam Garagan and Bailey Chenier of the North Bay Trappers. 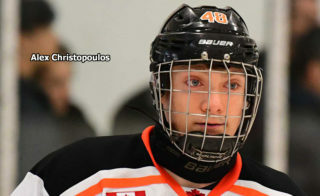 Green goaltenders are Christian Cicigoi, a Thunder Bay, Ont., product who played last season with the affiliated junior A Powassan Voodoos after being a sixth-round pick in the 2017 OHL Priority Selection, and Joe Vrbetic of Dunvegan, Ont., who was a second-rounder this year from the Don Mills Flyers minor midgets. Set to staff the crease for White are Reece Proulx, a North Bay resident who was an 11th-rounder in April from the North Bay Trappers minor midgets, and Cal Schell, a Burlington, Ont., resident who was taken in the second round of the OHL Under-18 Priority Selection from the Burlington Eagles major midgets. 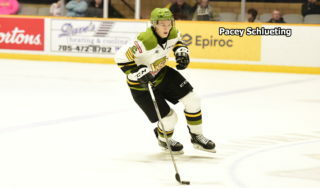 North Bay resident Payton Vescio, a defenceman who was a fourth-round selection from the minor midgets Trappers in 2017, is the camp veteran, having played one game with the Battalion last season before joining the Voodoos.